California-based Tetra Tech, Inc. is expanding its technology solutions portfolio with the acquisition of eGlobalTech, a solutions and consulting firm in Virginia specializing in IT, cloud migration, cybersecurity and management. Terms of the deal were not disclosed, but eGlobalTech will be joining the company under its government services group. And adding emerging technology to Tetra Tech’s consulting practice only expands what it can provide to clients. “The addition of eGlobalTech and their laboratory incubator will allow us to pilot and apply exciting new techniques that incorporate artificial intelligence, data analytics, and advanced cybersecurity solutions for our government and commercial customers,” said Dan Batrack, Tetra Tech chairman and CEO. Tetra Tech will also gain eGlobalTech’s contracts with federal clients like the Health and Human Services Department, according to Batrack. And eGlobalTech employees are excited to integrate. 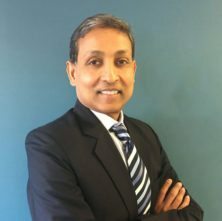 “This merger will provide us with the high-end partnership, with a like-minded company, that will continue to advance the application of IT to more clients and projects, while providing extraordinary new opportunities for our employees to apply their expertise,” said Sanjiv Jain, eGlobalTech CEO. Dan Batrack eGlobalTech Sanjiv Jain Tetra Tech Inc.